Musem of Sican or House of the Moon in Chiclayo: It is a museum that exhibits artifacts found in the site digs of Batán Grande and demonstrates how they were used or fabricated. The rooms represent excavated tombs and exhibit the burial paraphernalia discovered there. 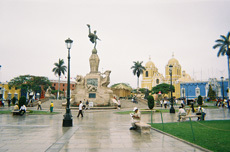 Panoramic visit of the city center surrounded by colonial mansions. We will visit the main square and two colonial mansions: La Casa Urquiaga (now Banco de la Reserva, closed on Saturdays and Sundays) and La Casa de La Emancipación (closed on Saturdays and Sundays). Also we will visit Archeology, Anthropology and History Muesum of the National University of Trujillo (closed on Sundays), which exhibits ceramic objects, jewelry, clothing, and feather mosaic. 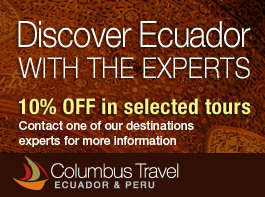 Continue to visit the Huaca del Sol and Huaca de la Luna. Huaca del Sol functioned as the political-administrative center, and Huaca de la Luna as the ceremonial center. Lunch at Huanchaco, one of the most popular beaches along the coast of Peru for surfers. Here you will see the traditional rafts called the "caballitos de totora" (little horses of totora reeds), used by the fishermen in the north coast of Peru since pre-Columbian times, still navigate these waters. Early departure by private car headed to Chiclayo. 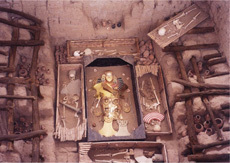 On route, stop over at El Brujo Archeological Complex which is formed by the three following constructions: Huaca Prieta, Huaca Cao and Huaca Cortada. On arrival in Chiclayo, we will visit the Musem of Sican or House of the Moon. It is a museum that exhibits artifacts found in the site digs of Batán Grande and demonstrates how they were used or fabricated. The rooms represent excavated tombs and exhibit the burial paraphernalia discovered there. The museum also offers detailed information on the excavation process and site preservation, as well as the chronology, development, trade networks, economic activities, burial patterns, and cosmology of the Sican or Lambayeque cultures. Lunch at a local restaurant before going to the Royal Tombs of Sipan National Museum (closed on Mondays): here we will find archeological objects of gold, silver, and copper object found in the tomb of the Lord of Sipan. 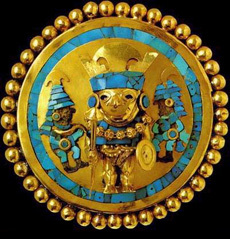 Among the many important pieces are earrings, ceremonial scepters, medallions, a heavy circular gold ingot, nose rings, gold necklaces in the shape of peanuts, a gold chin and cheek mask, gold back flap, and gold disks worn around the neck. The tour ends at the airport to board your flight to Lima. Includes private transportation with local English speaking guide, all meals and accommodation according to itinerary, visits to the sights and entrance fees.